Most dogs jump at the chance to explore the outside world. And those daily strolls have many benefits for both owner and pooch. It keeps you fit and healthy and creates a well-balanced pup both socially and mentally. But for some pooches that thirst for walks doesn’t always exist. If your dog refuses to move or runs and hides when you ask ‘walkies?’, there may be something more than simple stubbornness going on here. Finding out why will help you identify how your dog feels when it’s time for a walk. And if you better understand what’s whirring around that adorable head of theirs, you can use the right methods to change their mindset and reignite their passion for walks. 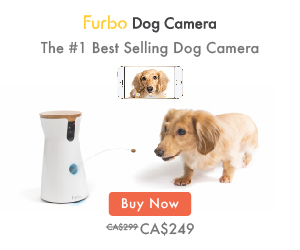 So if you want to get Fido through the door without the daily struggle, read on. These tips will help you understand why your pooch refuses walkies and what you can do to help them enjoy it again. 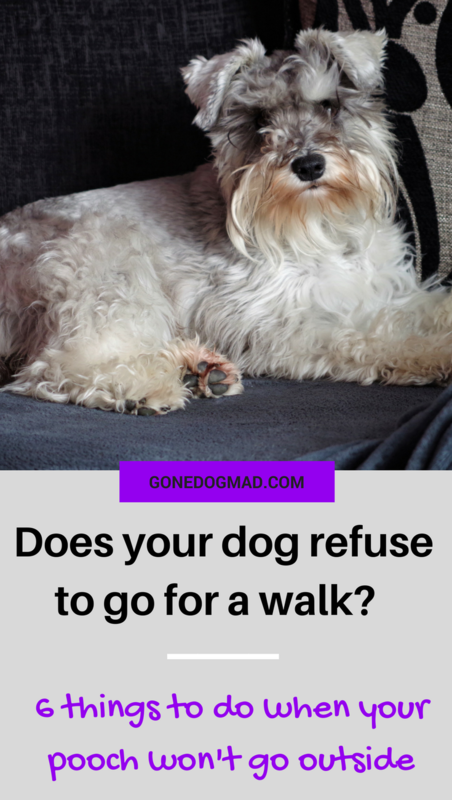 Ask yourself why your dog refuses to walk? Your dog could be hiding away indoors for any number of reasons, but here are some common examples. This one strikes a chord with me because it’s one of the reasons my Loki favours the couch over walkies sometimes. 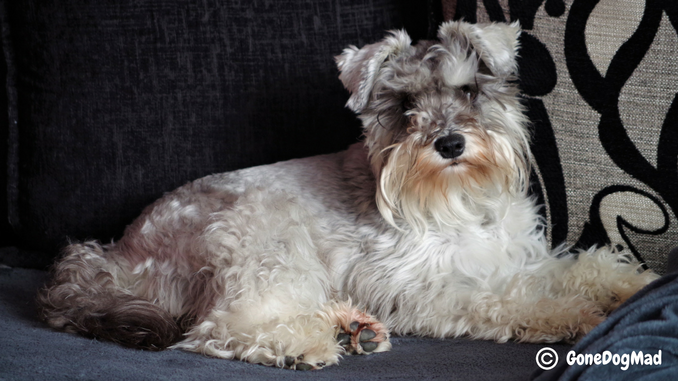 Your dog could be reluctant to brave the elements if it’s raining or sweltering outside. Some dogs love nothing more than to lollop around in puddles all day long, but others are a little more delicate about the matter. They’d simply rather keep their feet and fur dry wherever possible. My Loki included! In hot weather, dogs find it more difficult to regulate their body temperature. They release body heat through panting, but if it’s a particularly warm day they may not want to overexert themselves. Who can blame them! Don’t you prefer putting your feet up when the weather hits those extremes? 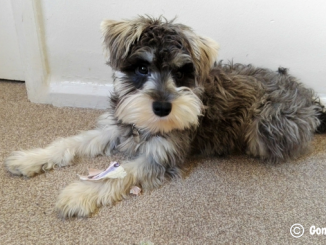 If pup has suddenly started refusing their daily walk, it could be down to health issues. Dogs tend to hide their ailments extremely well – it’s believed in part due to instinct, and not wanting to be seen as weak or vulnerable to packmates and predators in the wild. But we’re not always aware of our dog’s body language when they’re in pain – besides any obvious limping, shaking, wounds or lethargy. Walking could be causing your dog some discomfort and they’ve come to associate that pain with going for a walk. Equally, if your dog is overweight or obese, they may simply be unable to get around as well as you’d like. When they’re faced with the idea of going for a walk, they may have realised it’s far easier to sprawl out on the couch instead. Chances are they’ll have low fitness levels and lugging all that weight around is hard work. Are they fearful of the outdoors? In some cases, dogs can develop a fear of the outdoors. And sometimes it can only take one negative incident on a walk to make your dog afraid to leave your home. That could be another dog snapping at your dog, a loud motorbike riding past, or a child tugging on their tail. But at that moment in time they may have felt a strong sense of fear that created a negative association with the whole idea of a walk. Now, that’s not to say you should become an overprotective dog parent and shield your pooch from everyday life. In fact, early on you should make socialising an important part of puppyhood. 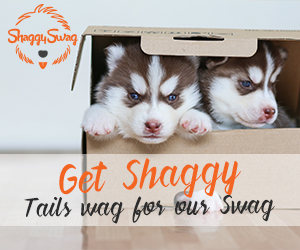 This ensures your dog grows up well rounded and can easily adapt to their surroundings. But if you’ve discovered their refusal to walk is out of fear, this should be treated with care and compassion. Throwing them into a high energy situation will only make matters worse and fuel their primary fear. Ideally you need to assess their behaviour while they’re out walking. How does your dog hold their body? Do they trot along confidently or is their head low and ears pinned back? Do you notice any reaction to certain people, other animals or objects while you’re out? 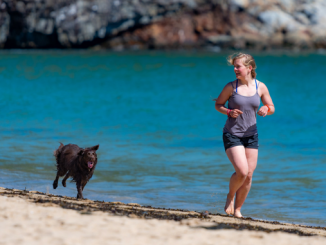 Think back to previous walks and note any incidents that may have overwhelmed your dog. Is their walking gear uncomfortable? If your pooch’s harness or collar is causing discomfort, this could be the reason they aren’t co-operating. Perhaps their walking gear is the wrong size or it rubs against their skin. Luckily, this cause is easily fixed! We faced a 2-3 hour battle of cat and mouse every time! It was only when I held up her old collar and she came running towards me that I realised the harness was the problem. The harness fits correctly, but there’s definitely something she doesn’t like about this particular one. So the moral of the story is, check your dog’s walking gear and ensure it fits well. If they’ve come to dislike it, try using a different brand. Now we have a few ideas why your pooch may be refusing a good walk, here’s how you shouldn’t handle your dog’s stalling tactics. They may choose not to listen because you’ve unintentionally broken that special connection and shattered their respect for you. You’ll fracture any chance of a close relationship with your beloved pooch if you force them into situations they’re uncomfortable with. You should go at their pace and offer positive guidance to show them walks are an enjoyable and exciting experience. When your dog does the exact opposite of what you want, we can sometimes feel our stress meters rise. And sometimes our default response is to raise our voices. But scolding your dog will not make them submit. If you lose composure, you’ll fail to project an authoritative leader, and in your dog’s eyes you’ll look unhinged and not someone they should look up to or follow! Always follow the principle of cool, calm and collected when interacting with your dog. For fearful dogs, your shouting will only make their anxieties and stresses worse. They’ll be far less inclined to walk through the door and more likely to want hide under the bed. This can sometimes seem like your best option to coax them across the threshold. However, just because your dog is treat focussed, doesn’t make it an effective method. If you haven’t addressed the underlying cause, they’ll still hold that same negative feeling as soon as they step outside and the treats have dried up. They may be desperate to gobble your chicken, but if you close the door behind them and they’re still terrified of being outside, you’ve locked them in an alarming position. If the cause is not a quick fix such as an adversity to the weather or walking gear, you should introduce and build on your training over time. You’ll find a few suggestions for fearful dogs below. We’ve explored what you should never do when your dog refuses to walk, so here’s a few things you should do. If you’ve discovered a weather-related pattern when your dog avoids walking, take measures to improve their comfort during these spells. During wet weather, get your dog a warm, waterproof coat or visit indoor places such as garden centres, dog friendly stores, pet shops or an indoor dog park. For snow days, try using dog booties to provide protection against the harsh ice and salted roads. Not all dogs will accept booties, but you never know. 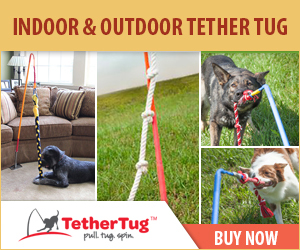 This could be just the thing to get your dog out and about in winter months. During summer, avoid walking in the middle of the day when the sun is at its hottest. Take an early morning or late evening walk when it’s cooler and easier for pup to regulate their body temperature. One reason your dog may refuse is because it’s no longer exciting. You may have settled into a routine following the same routes and your dog has become bored of the same old sights and smells. Mix up your walks with new, unexplored areas in the neighbourhood. Jump in the car a couple of times a week and go on an adventure in an unfamiliar forest or beach. If your dog loves other dogs, set up a walk with a dog buddy to add some interest. Or make walks more exciting by stopping randomly to do some quickfire training with treats. If your dog has suddenly become uninterested in their walks, they could be suffering with an illness. Check for any obvious signs of injury and assess their overall behaviour at home. If they seem more lethargic than normal or they seem uncomfortable when you touch a particular spot, it’s time to book a vet visit. 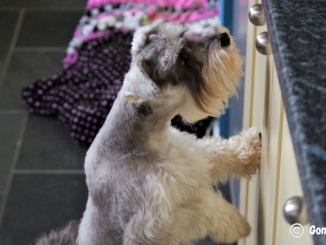 If you’ve discovered your dog’s refusal is fear related and their reactions are extreme, you may want to seek help from a qualified dog behaviourist. However, there are a few gentle training exercises you can do at home to help them build a positive association with walks. As with all anxious dogs, take baby steps and introduce triggers slowly. We don’t want to overwhelm pup or create a situation where they become stressed. In their current state, even the word ‘walk’ can trigger a fear response. They may have come to understand the word ‘walk’ is followed by a negative event. So the first thing to do is remove any cue words you use that may cause their anxiety. Additionally, when you approach the lead or put your dog’s harness on, this can stir distressing feelings. So we need to move slowly to build a positive link. Start by using your new cue word in a cheerful tone and offer treats as you say the words. Then as you say your cue words, such as “shall we go out?” put the harness and lead on your dog and offer more treats. After a minute or two, remove the harness, stop feeding treats and make the situation boring. Repeat a couple more times. Over the next few days, repeat the above actions but move towards the closed front door. Feed treats at the door, then remove all their walking gear and be boring. In the next steps open the front door and step out. If your dog follows you, praise heavily and offer treats while they’re just outside the front door. Then head back inside, take all their gear off and stop giving any attention. Repeat this step a few times to build your dog’s confidence. Gradually take steps further away from the front door as you work on this training over a couple of weeks. If your dog simply refuses to step outside, their anxieties may be more severe. In these cases you may find calming supplements, an anxiety wrap or the help of a dog behaviourist will help. We all have our off days – sometimes we don’t feel like moving and your dog could be exactly the same. If your pooch occasionally turns a walk down, don’t force it. They may just rather a home day, especially if you have an older dog whose joints and muscles aren’t what they used to be. There’s nothing wrong with missing a walk or two during the week. 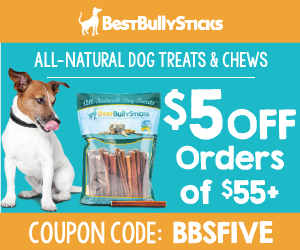 Let your dog have their downtime if that’s what they want. You can always extend the next walk if they perk up tomorrow. Brain games are a great alternative to keep your dog occupied if they’d rather not walk. But you should aim to address the underlying cause in the process as mentioned above. Otherwise your dog may never get over their fear, or they could continue to suffer from a health issue, for example. But as a substitute on those non-walking days, carry out brain challenges around your home to wear them out mentally. Play a game of find it, make a destruction box or buy one of the many dog brain games available online. Some dogs are simply much happier being at home. And that’s absolutely ok. If you take occasional walks and pair them with daily brain games your dog can still lead a happy and fulfilling life.